Notes: St. Albans Abbey Station preceded the main line Midland Railway station by 10 years; it became the terminus of two branch lines, the LNWR line from Watford and the GNR line from Hatfield. There were several early proposals to provide St. Albans with a rail service and on 4th August 1853 the LNWR received parliamentary approval to construct a line from Watford; the single track branch opening on 4th May 1858. In 1861 the GNR lent its support to a proposal to build a branch line from Hatfield in order to attract some of the lucrative commuter revenue. Authority was obtained on 30 June 1862 and the line was built by the Hatfield & St. Albans Railway with the support of the GNR. The branch was opened on 16th October 1865 and eventually absorbed into the GNR on 1st November 1883. 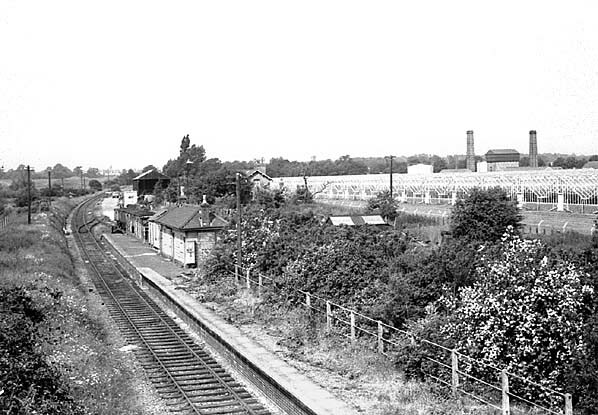 There was initially only one station at St. Albans (later named St. Albans London Road) with further intermediate stations opening at Smallford in 1866, Sanders Siding (later Salvation Army Halt) in 1897, Hill End in 1899, Nast Hyde in 1910 and Lemsford Road in 1942. The Hatfield - St. Albans branch was an early casualty under British Railways, closing throughout to passengers on 1st October 1951; freight traffic lingered into the 1960's. 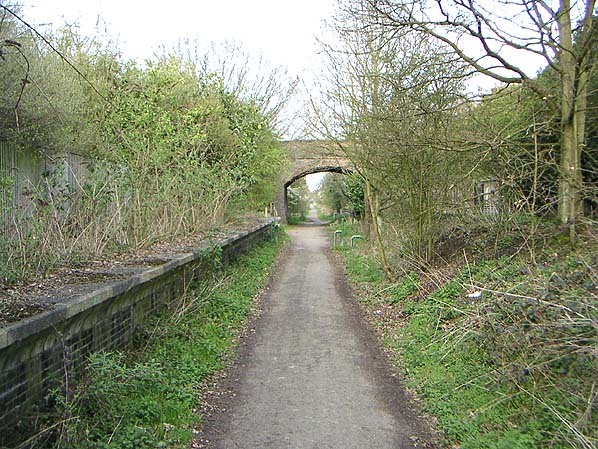 The former line now forms 6½ miles long Alban Way, which opened in 1985 as part of National Cycle Route no. 61 between Hatfield and St. Albans. The route is owned by the City & District Council of St. Albans, managed by the Parks & Leisure Department, and Welwyn Hatfield Council. The route acts as a 'wildlife corridor' within two busy urban areas of Hertfordshire. The section along the old 'Smallford Trail' is also a County Wildlife Site. 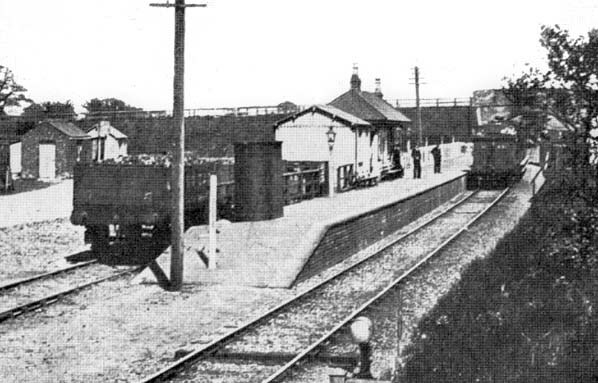 The station was originally named Springfield but was renamed on 1st May 1879. 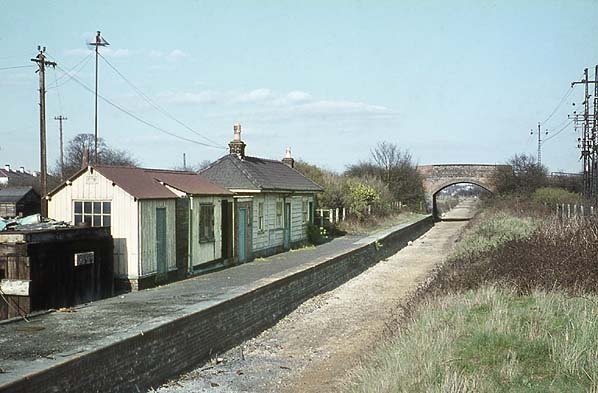 Although passenger traffic was withdrawn in 1951 freight traffic continued until 1st January 1969 honouring a contract with a scrap dealer at the station. This made Smallford the last station on the line to be completely closed. 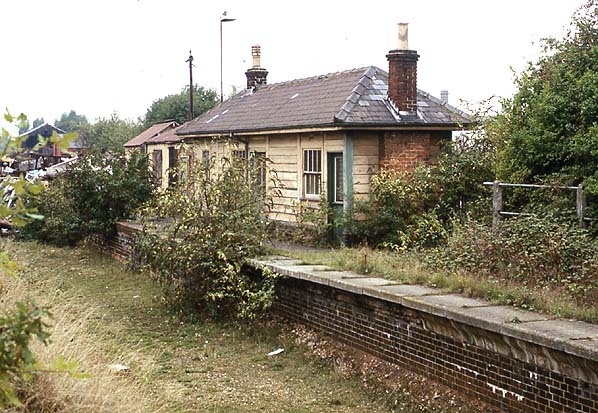 From St. Albans and Harpenden Review 20 November 2012: Halfway down the six mile Hatfield - St.Albans railway track - now the Alban Way - sits the platform and ticket office of Smallford Station which closed to passengers in 1951. But now a group of enthusiasts have won a substantial grant to bring its history back to life and they are seeking more help from anyone interested in the project. Future plans may even include sprucing up some of the remaining stations still evident along the track. The Smallford Residents’ Association (SRA) has received £9,900 from the Heritage Lottery Fund (HLF) for this truly exciting project named, ‘Bringing the History of Smallford Station to Life’. Led by volunteers from the local area, the project focuses on the history of Smallford Station and the Branch Line it served, and the impact this had on nearby communities. The project will support local people, from enthusiasts to people who have never done anything like this before, to research and explore an aspect of the history of their community and present their findings in a variety of ways. These will include telling stories, holding exhibitions, developing a website and giving presentations. The grant will provide project members with a series of workshops together with on-going support, a range of high quality equipment plus a number of visits – eg to The National Railway Museum in York and The National Archives in Kew. The Project thereby represents an unprecedented opportunity for many people in and around Smallford, Sleapshyde and St Albans, to gain a deeper insight into this previously under-researched part of their local history and develop a wide range of valuable research and communication skills working with heritage professionals from The University of Hertfordshire, Hertfordshire Archives and Local Studies Centre and St Albans Museum.